Updating the window treatments in your home is a great way to improve and enhance your interior design, and to make your home more attractive and comfortable. 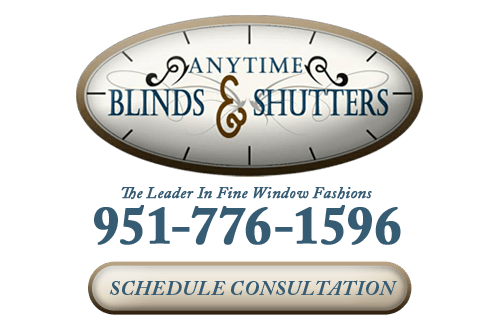 One of the most attractive kinds of window treatments that we offer at Anytime Blinds and Shutters are our woven wood shades in Riverside, CA. These shades are extremely attractive and functional, and they can help you create a casual, relaxing, and natural environment in any room in your home. Woven wood shades are a great option for any home in the Riverside area, vacation homes, or any casual living area, like a sunroom. 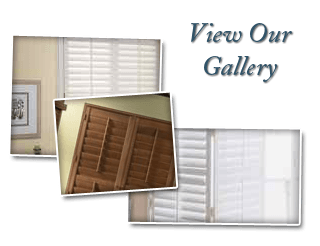 With the wide selection of woven wood shades available with our Riverside shutter company, you're guaranteed to find the perfect woven wood shades for your stylistic tastes, your home decor, and your budget. Our professionals can help you choose your new shades during a free in-home consultation, and after you've made your selection, we'll also provide complimentary professional window shade installation services. Woven wood shades are naturally attractive, and have many design options. They’re easy to clean and keep in good condition. They can be easily adjusted, so you’ll have more control over the amount light that you let into a room in your Riverside home. When they’re retracted, woven wood shades will keep out most sunlight. Woven wood shades are environmentally friendly and made from rapidly renewable resources. 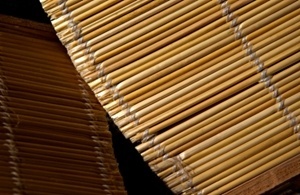 When exposed to humidity, because of the design, woven wood shades do not suffer damage from expansion and contraction. Woven wood shades offer great ventilation. The classic appearance of woven wood shades allows for easy integration into almost any style of home décor. Woven wood shades are extremely affordable. Woven wood shades offer decent insulation. Woven wood shades can be a great addition to any home’s interior design. Made from bamboo, grass, or other natural materials, they’ll allow you the privacy you need, let you control the amount of natural light that’s allowed into a room, and create an earthy atmosphere in your home. When you're choosing the right woven wood shades for your Riverside, you'll have many different options. For instance, if there are any children in your home, cordless shades can be a great way to keep your home as safe as possible for them. Woven wood shades can also allow in varying amounts of light, so you can choose more open or more closed weaves to regulate light control. It's no wonder woven wood shades are one of our more popular window coverings in Riverside. Our professionals will walk you through our selection of woven wood shades and help you choose the perfect set for your home. If you are interested in an estimate for woven wood shades in Riverside, CA or the surrounding areas, please call 951-776-1596 or complete our online request form.